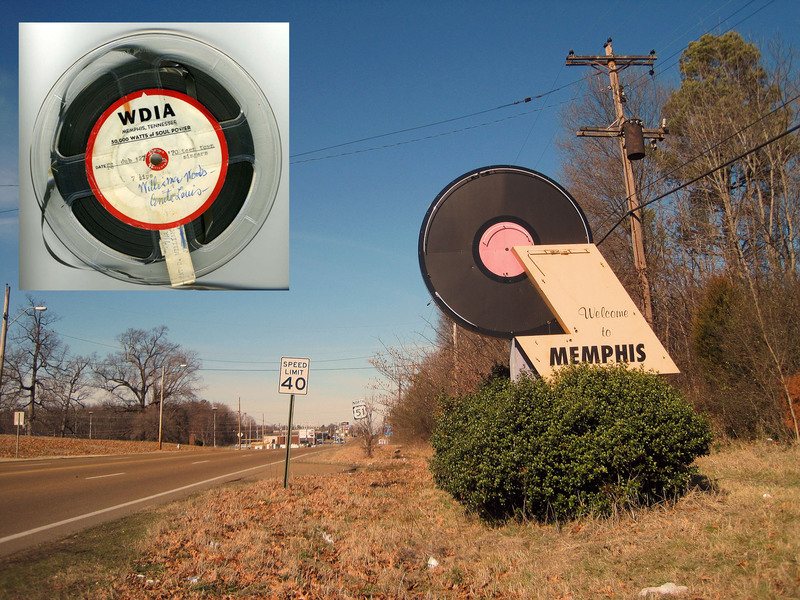 Radiostation WDIA Memphis (the one on which Elvis heard his first black music) was the origin of the Pepper Sound Studios (which morphed into Pepper Tanner in the sixties and W.B. Tanner in the seventies). 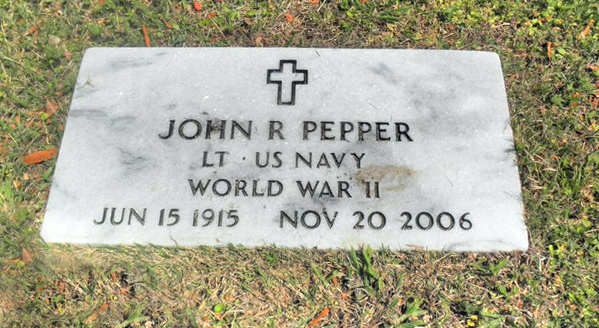 One of the founders was John R. Pepper III. He started recording commercials jingles in the basement of the building that Kennedy passes during the 1960 campaign. Rufus Thomas was an early jock on the station. Memphis was a real music city with a lot of talented musicans. 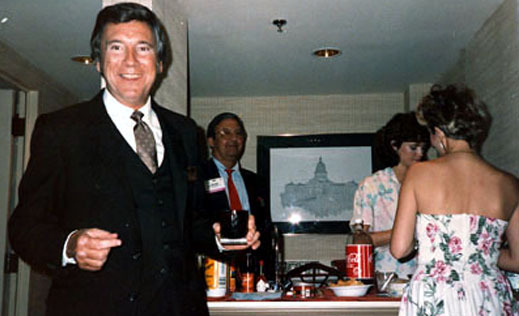 This is John Pepper and his WDIA partner Bert Ferguson. 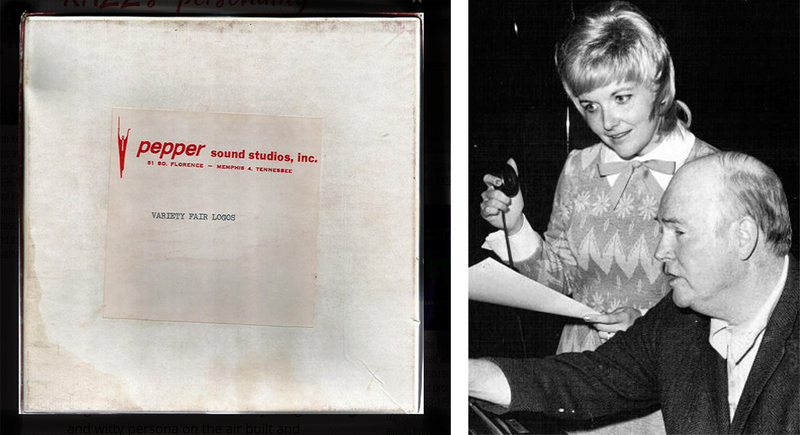 En here’s where it all started for Pepper and sound recording (the photo is from a 1968 news letter at Pepper’s). 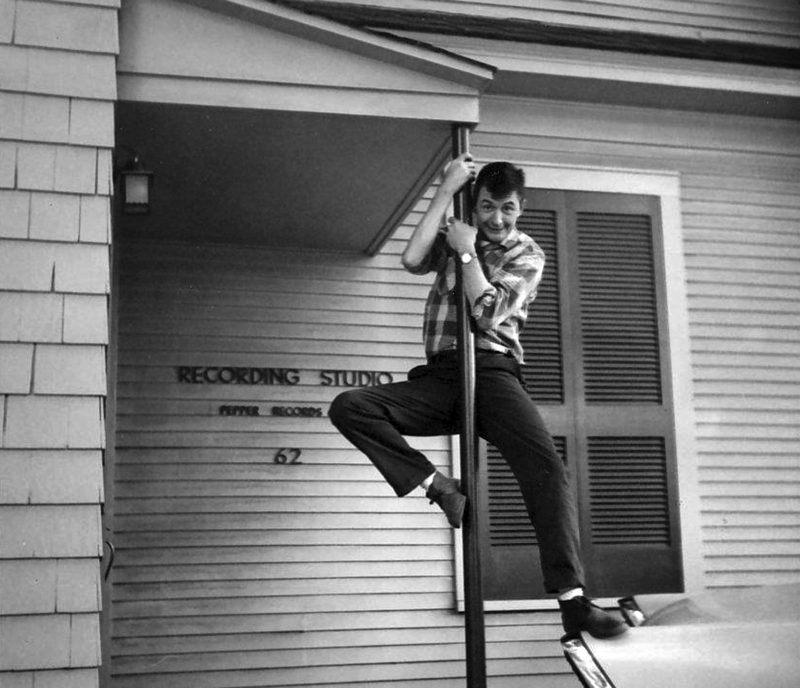 He started the Pepper Sound Studios soon after – this is the exterior of the Pepper recording facility at 62 Diana Street in Memphis (since long disappeared) with musician Joe D’Geralomo during a break. Later they moved to 51 S. Florence on the other side of the block. 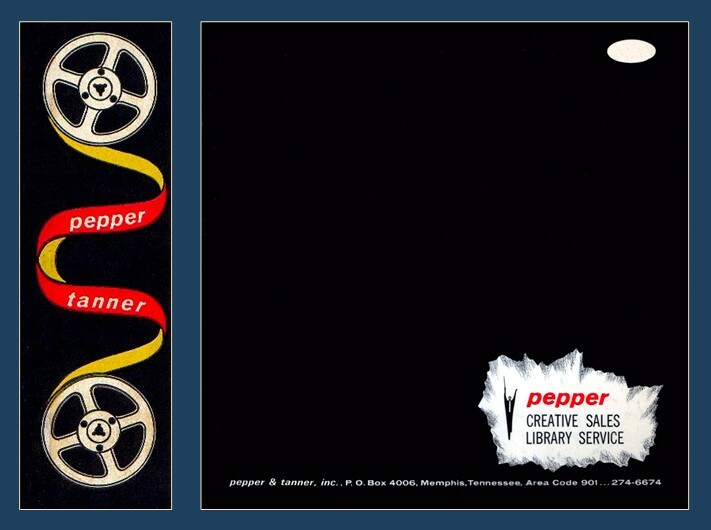 Pepper started to record local artists first, spreading out services to commercial jingles. 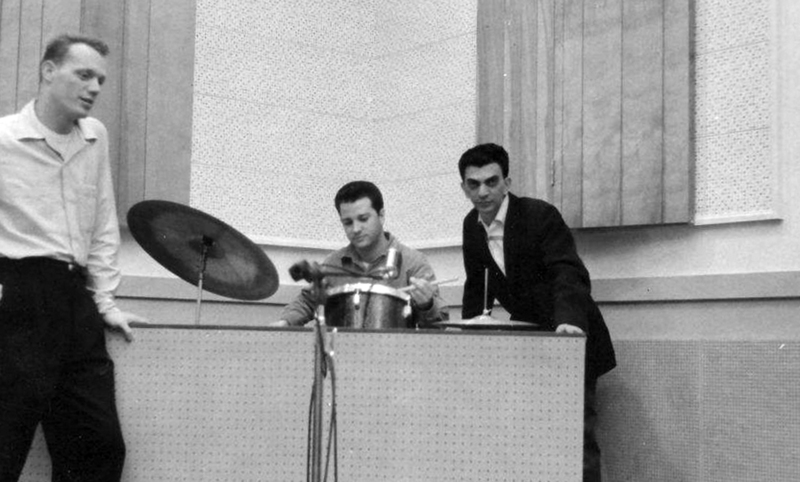 A recording session in april 1960. 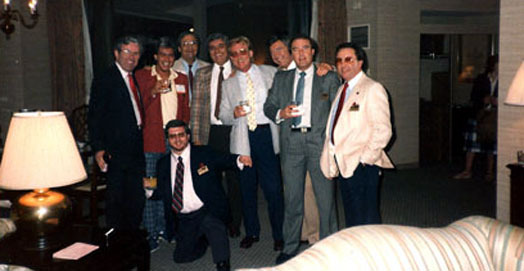 The bass player is identified as Jackie Thomas (photo’s appear on a Facebook reunion site). And they started to specialise in jingles, this is a photo of a recording session at Pepper, probably 1958. Larry Muhoberac (of the later Elvis Las Vegas shows) is playing the piano, singers left to right: Gene Maharrey, Cyd Mosterrer, Nancy Adams and Ernie Bernhardt. 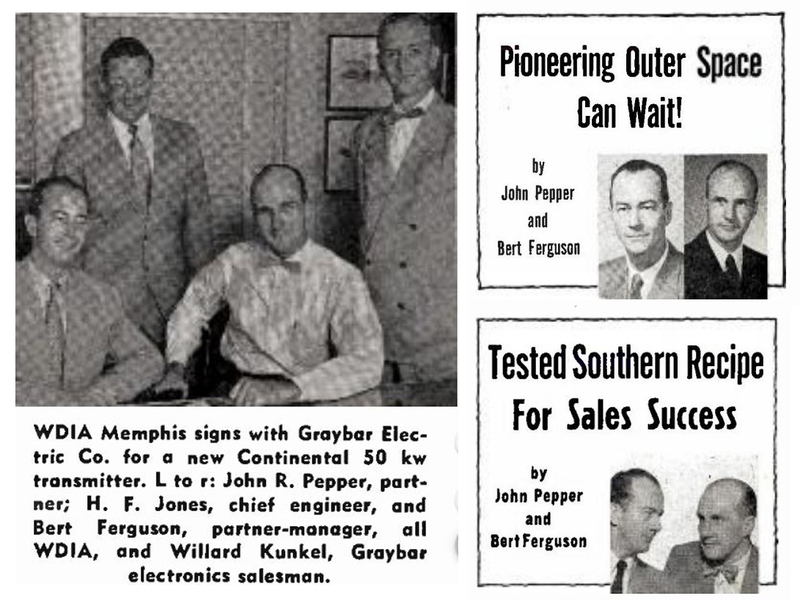 Pepper founded the company with a partner Floyd Huddleston (here seen with his wife Nancy Adams (she kept singing at Pepper and William B. Tanner for years after he left). This is her too, from a 1956 newspaper article, when the Pepper studio was still ‘new’. She also sang Love for Disney (from ‘Robin Hood’). Some of the other singers now: this choir was called The Peptones. And these were the Pepperwills (the woman is Gleni Thai who later got famous in singing the high vocal pabs on PAMS series 27, Jet set). Seen from the company’s Studio A. 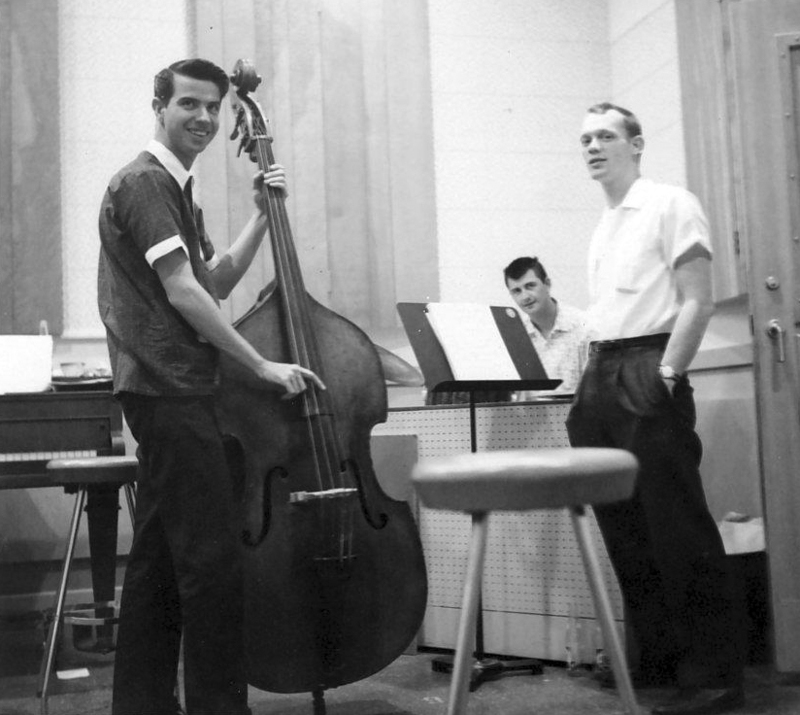 And more from the technical side of Pepper, at the right is Studio B.
Vincent DeFrank conducted lots of the instrumental tracking sessions, he was founder and musical leader of the Memphis Symphony Orchestra. 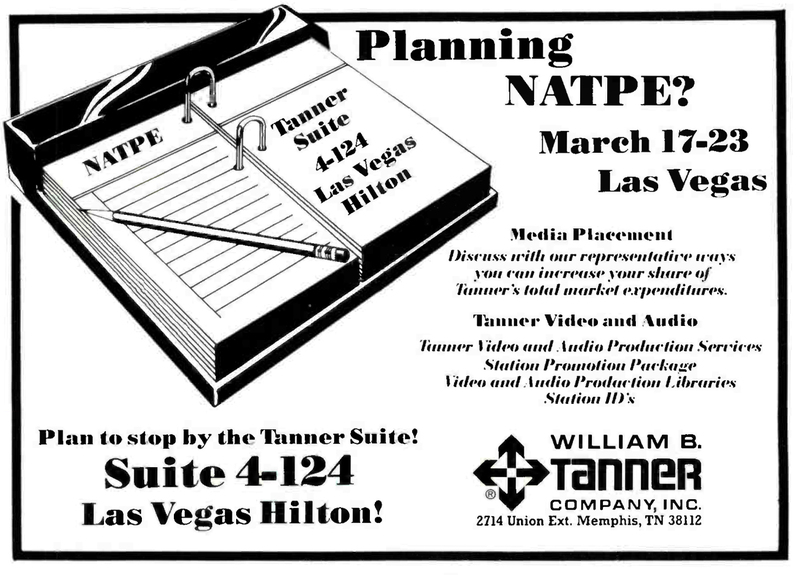 Sound engineer Mark Goodman made this map of all Pepper & Tanner offices in the block. This gives an impression how the office houses looked like. 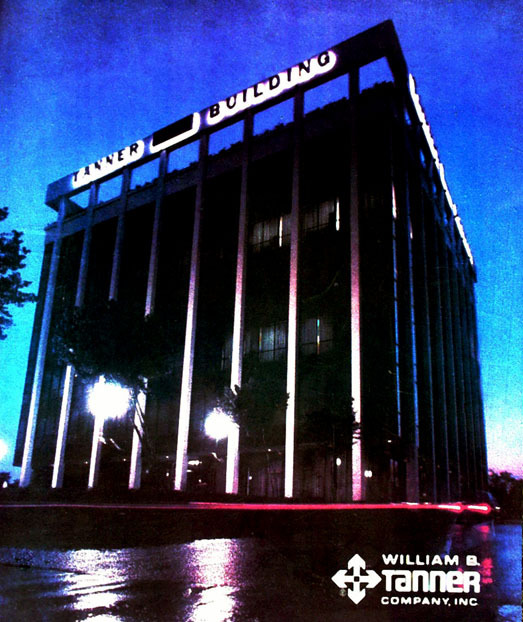 William B. Tanner had become managing director in the early sixties. Gradually Tanner did some lucrative take overs. Pepper soon pulled out and became a boss the employees normally saw once a year, at the christmas party. 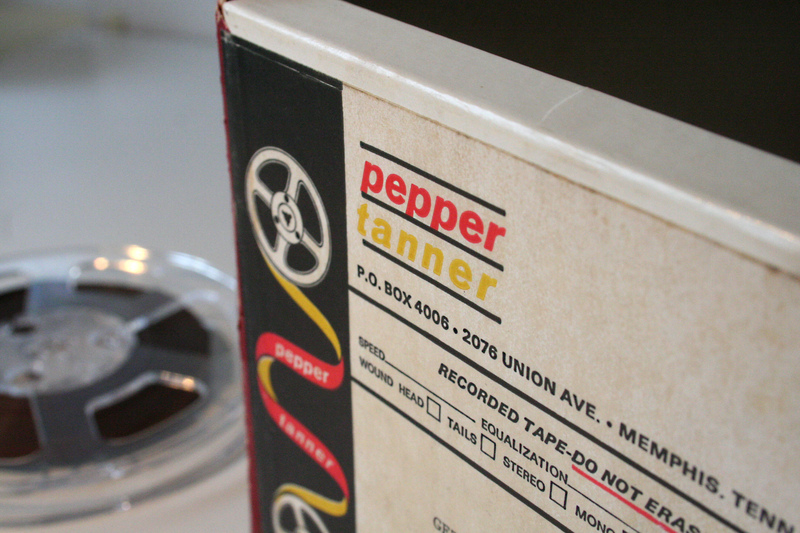 The Pepper Sound studios now had become Pepper Tanner. 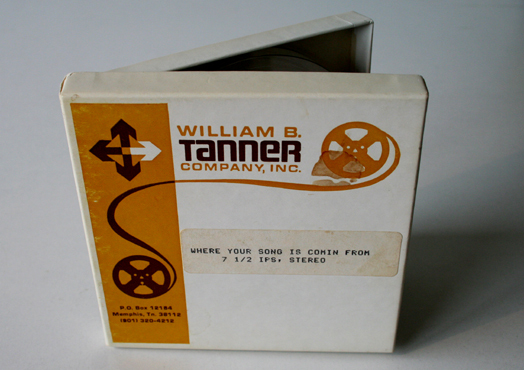 Pepper Tanner was a barter company, swapping jingles and music libraries against air time or whatever goods came up. 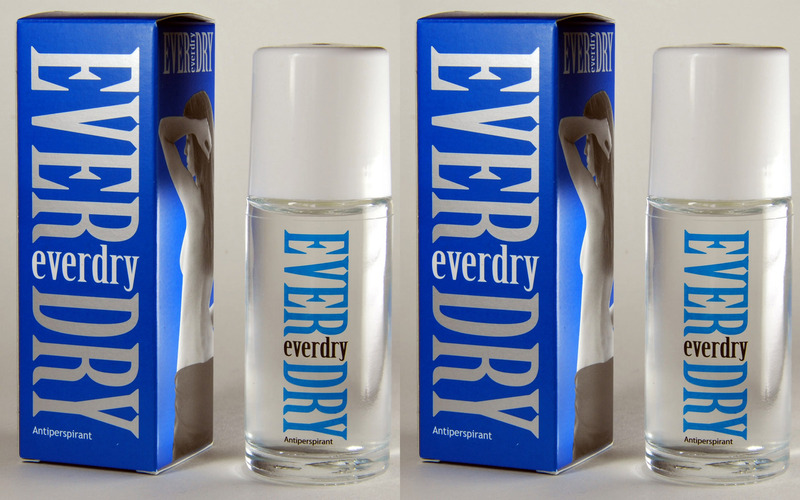 Tanner also used air time to sell a deodarant they owned: Everdry. The original buildings were all pulled down in the seventies, this is Florence street nowadays. In 1968 Tanner moved to the second floor of a building they had constructed on 2076 Union Avenue, here’s the artist impression they put on a promo calendar. 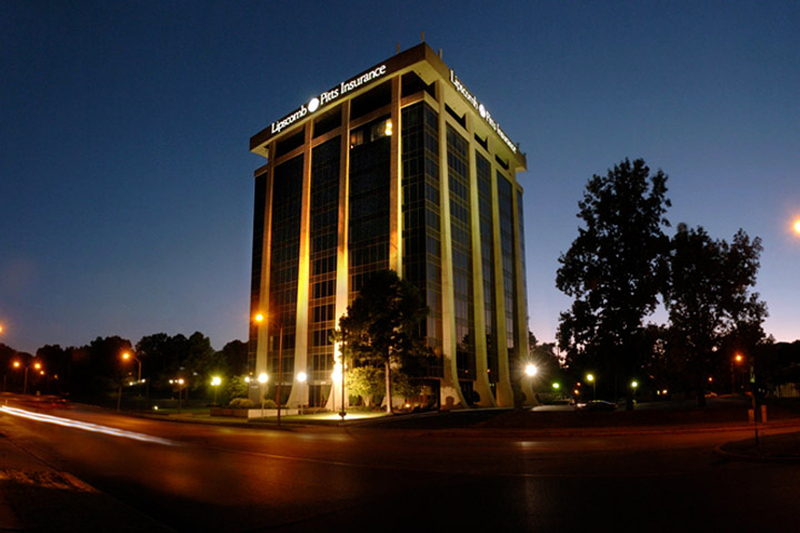 The First Tennessee National Bank originally took the groundfloor, Pepper Tanner was upstairs. Later they took over whole of the building, this 2006 photo still shows a Tanner tag. Appearantly there where bigger plans for the area, but in fact they never were realised. Pepper and Tanner started to focus more and more on jingles. 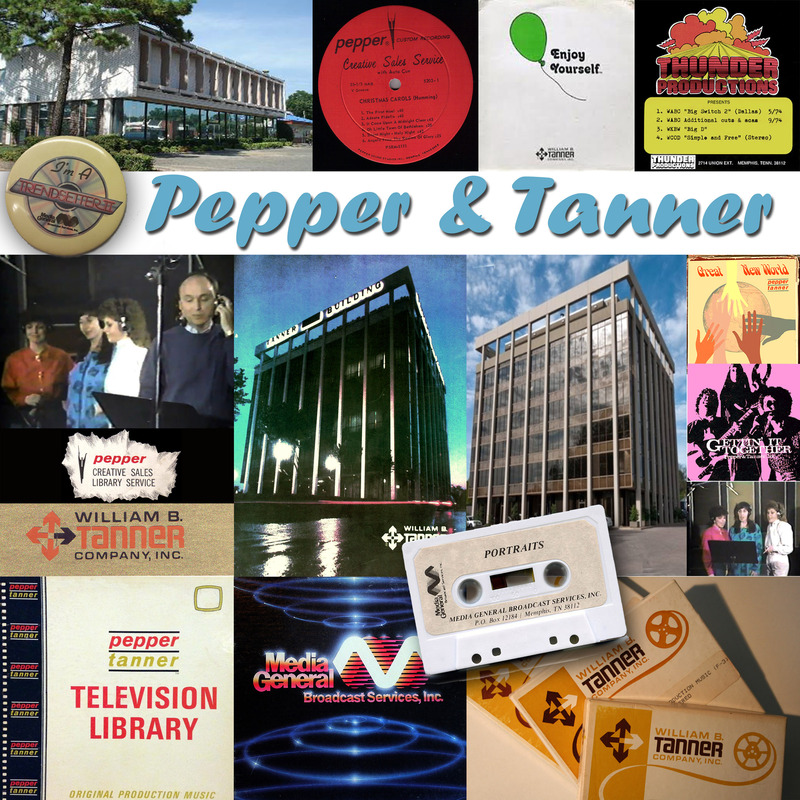 Some of the Pepper Tanner packages became hits in the radio industry. 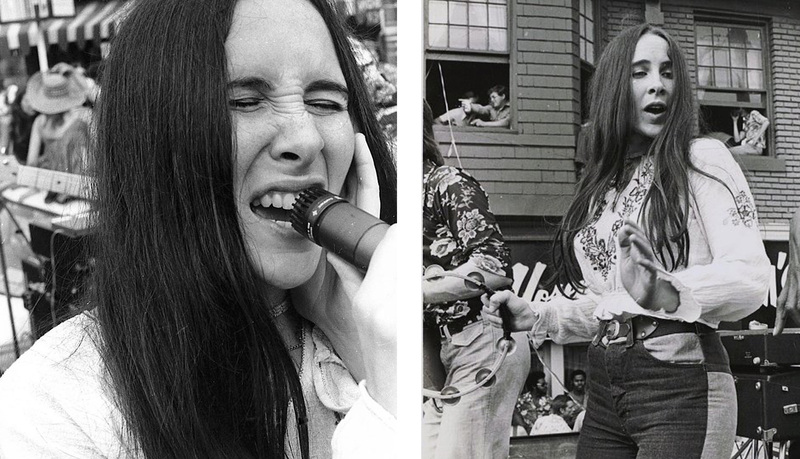 These are two of the big hits form 1969 and 1970. 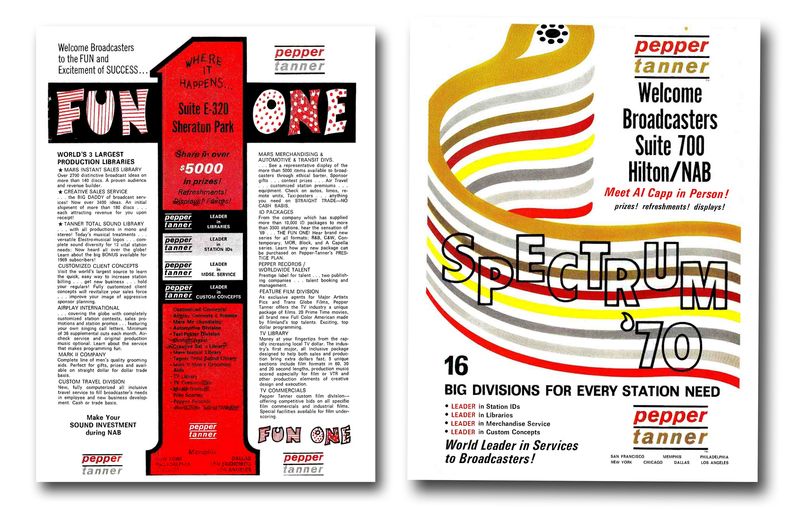 More and more radio id jingles were becoming the target of the company. And Pepper Tanner’s was a growing name. Here’s collector Ken R. Deutsch with the complete work of Pepper Tanner, making him a luckiest guy in town. Welton Jetton, the VP, designed the studios and managed the technical side of Pepper. 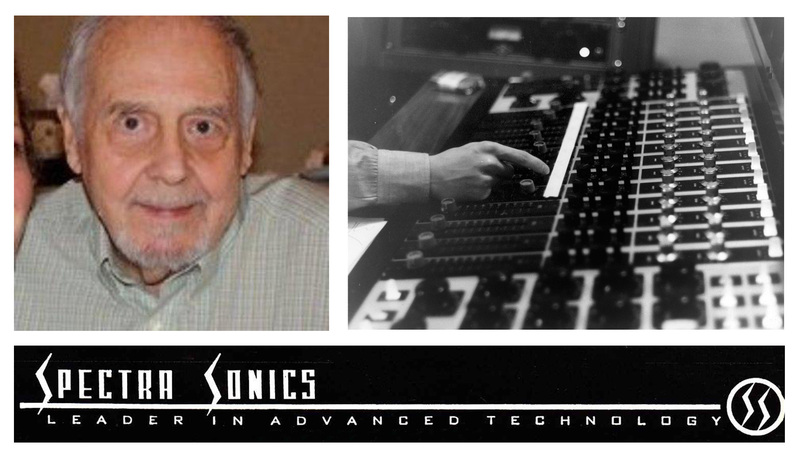 In 1965 he started Spectra Sonics, his company specialised in building sound boards for studios. They sold them everywhere, like in the Ardent Studio’s in Memphis in 1970. 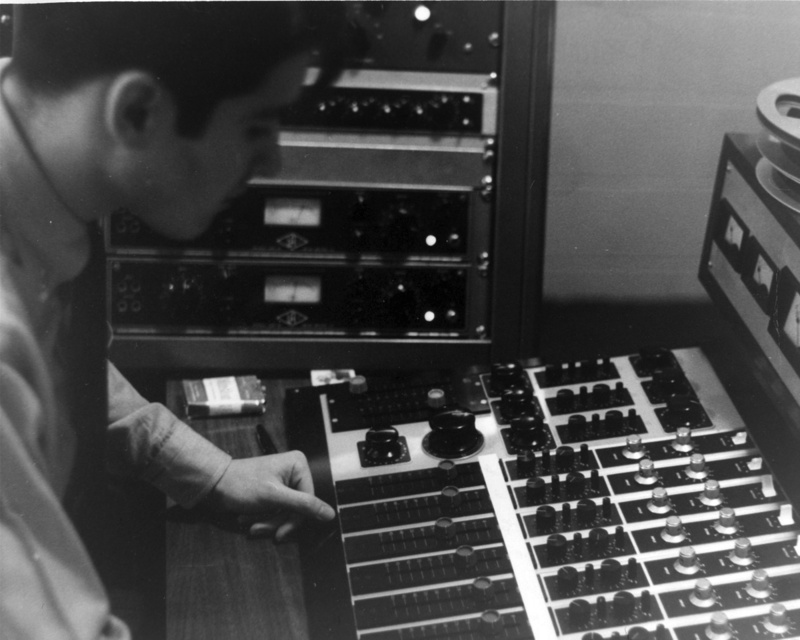 Jetton developed his own Audiotronic mixing consoles from the work he did at the Pepper Sound Studios. 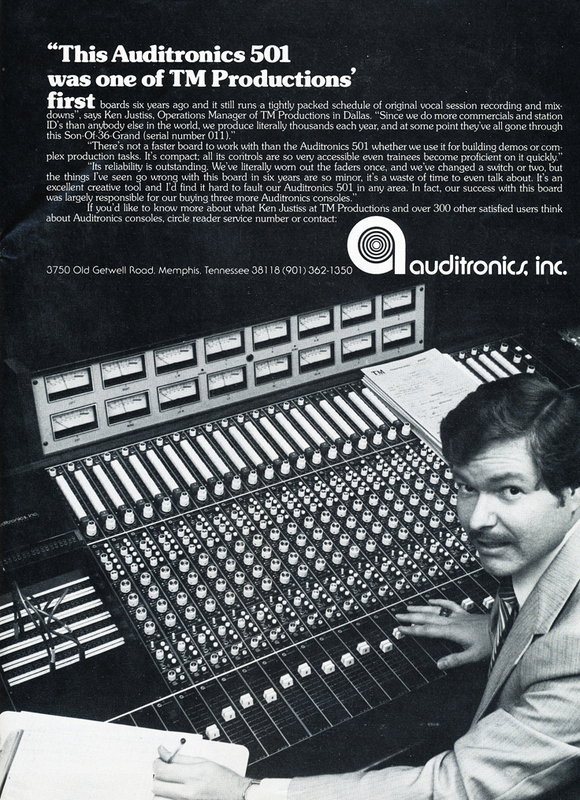 The Audiosonic 501 became an industry standard, shaping the sound of Stax in Memphis too. 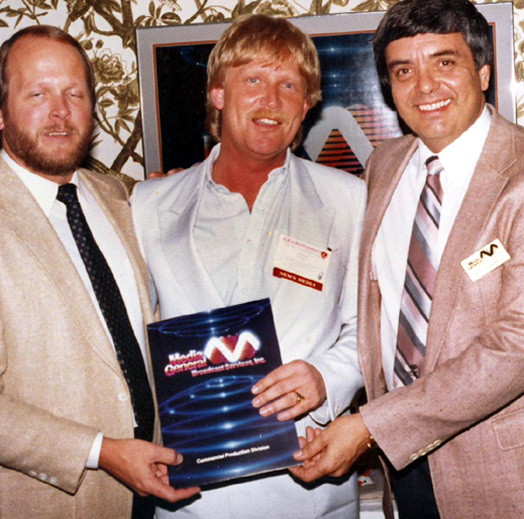 TM bought one in 1978, here’s Ken Justiss proudly posing with one of them. 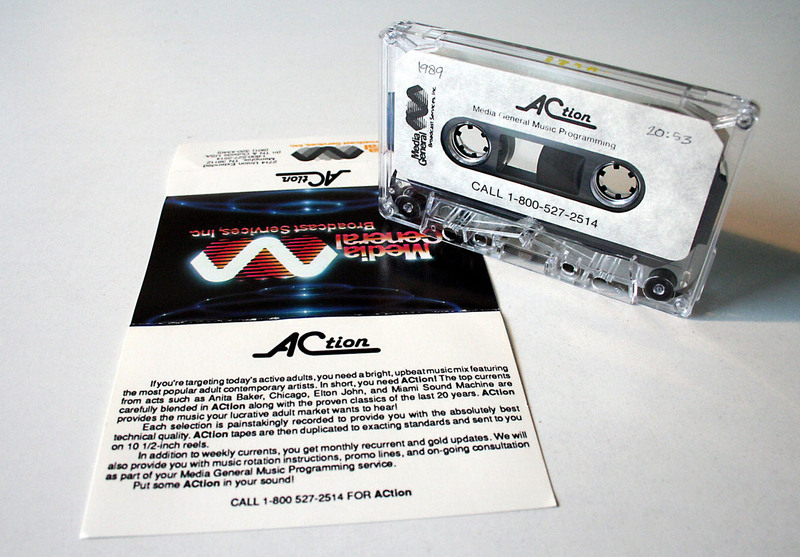 And so the Memphis based company shaped the Dallas sound as well. 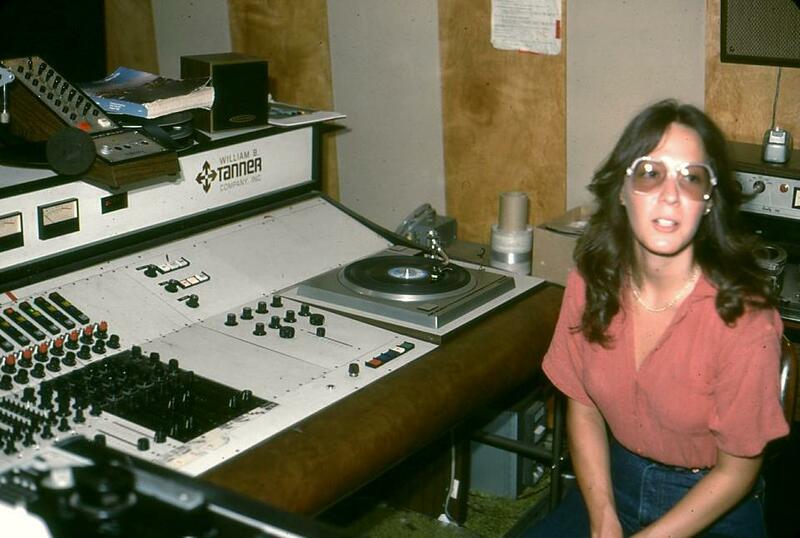 Here’s sound engineer Skip Frazee in the Pepper Tanner studio A. And again during a vocal session. 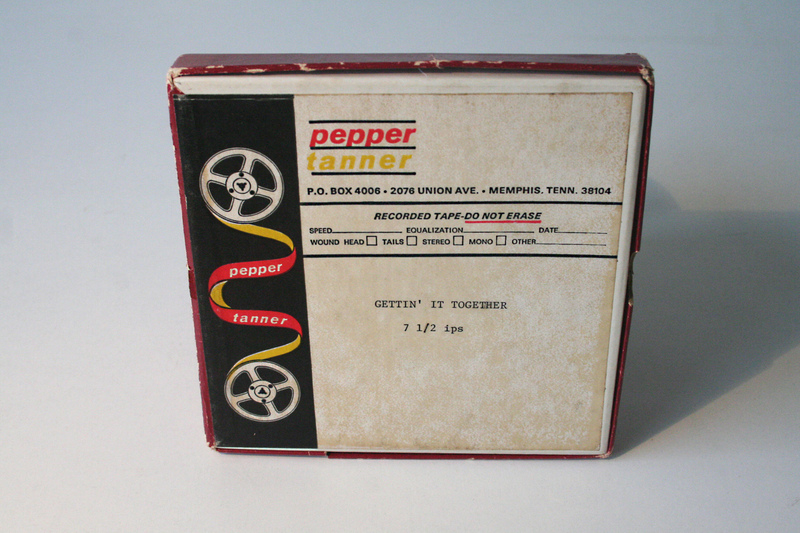 Because the Dallas jingle sound just was unbeatable Pepper Tanner soon opened up a Dallas affiliate called Pepper “D”. 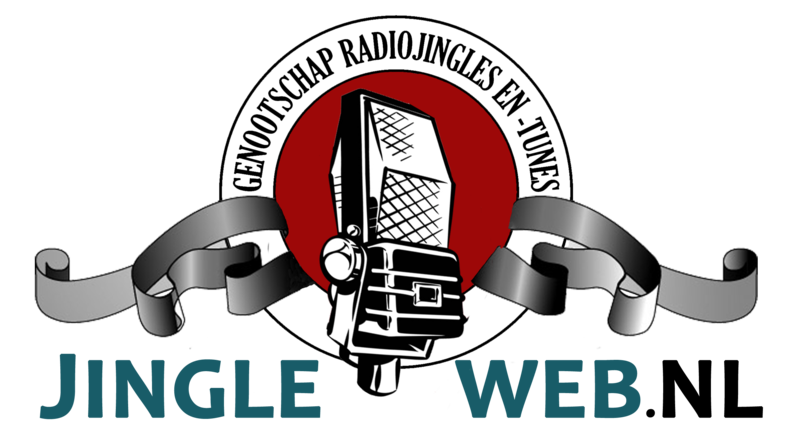 Not only for jingles, also for television production (mainly commercials). At first they recorded in the IMB studios at Fitzhugh in Dallas. This was one of the vocal groups, lead by Ronnie Tutt, also famous as a drummer (he toured with Elvis Presley, watch him do a solo), next to him singer Judy Parma. 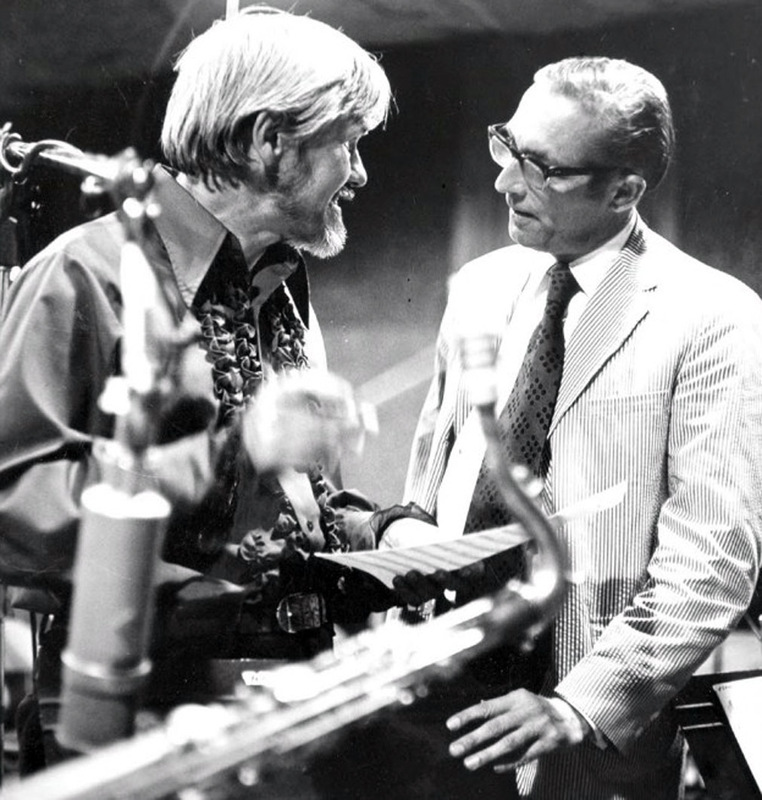 Larry Muhoberac was one of the other veterans at the company, here with singer Billy Ainsworth. 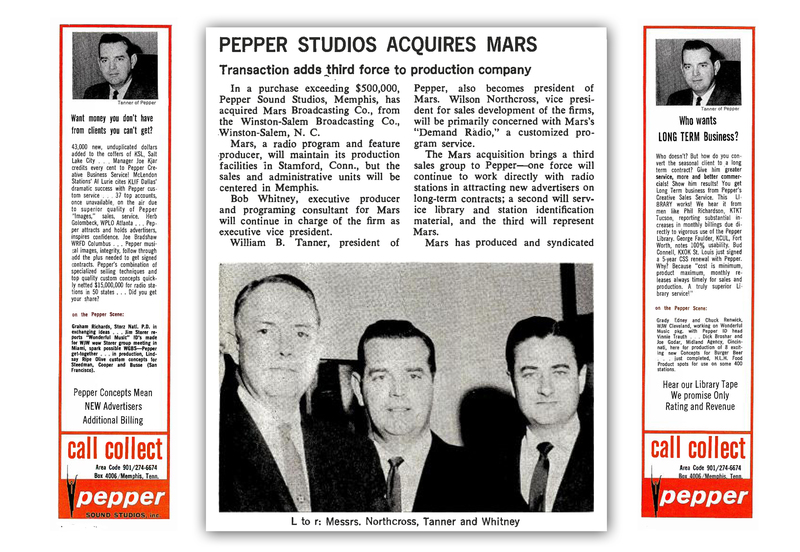 From january 15th 1973 Pepper’s name disappeared all together. 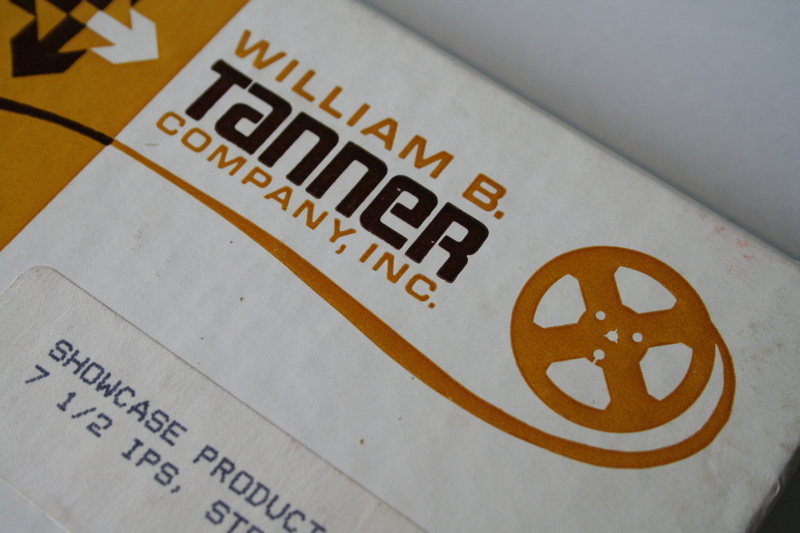 From now it’s the William B. Tanner company. 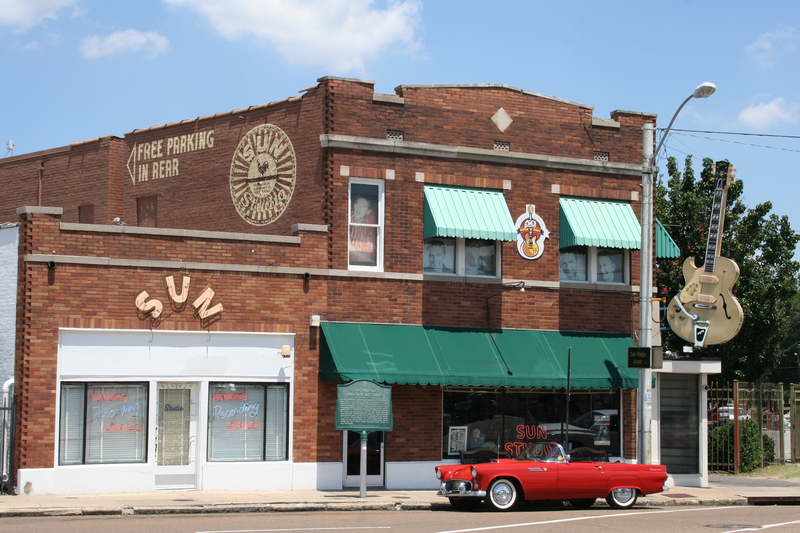 Union Avenue is rather famous in Memphis – 2,6 miles downtown on the same Union Avenue is the Sun studio. Elvis lived at nr. 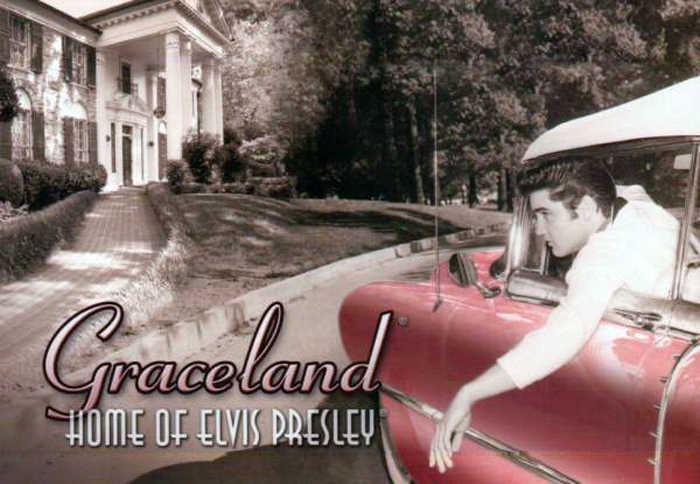 47, Graceland (now the Elvis Presley Boulevard).. Eventually Tanner moved all the administration of his businesses to this building in 1977 on 2741 Union Avenue Extended, a couple of miles to the east. 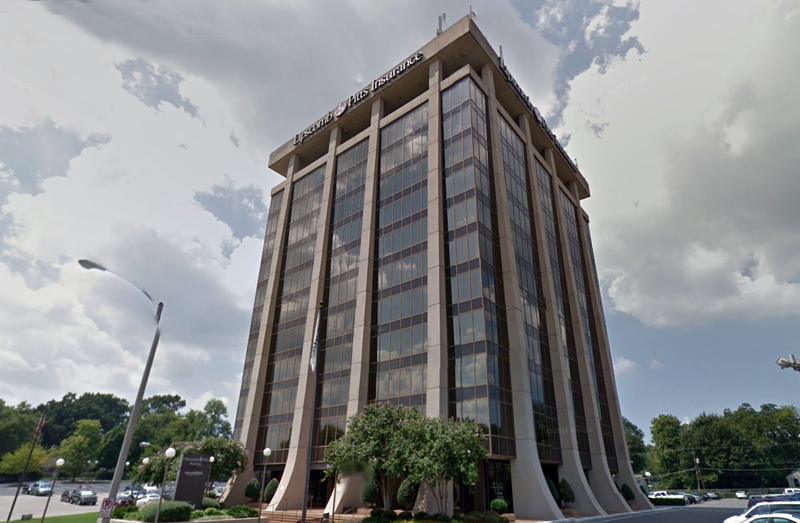 And they bought yet another building: the former Ritz on 1705 Poplar Avenue in Memphis, a few miles to the northwest from 2076 Union Avenue. It had been a recording studio before that: Trans Maximus of Steve Cropper (who played in Booker T. and the MG’s), Jeff Beck recorded his album with the Jeff Beck Group here in 1972. 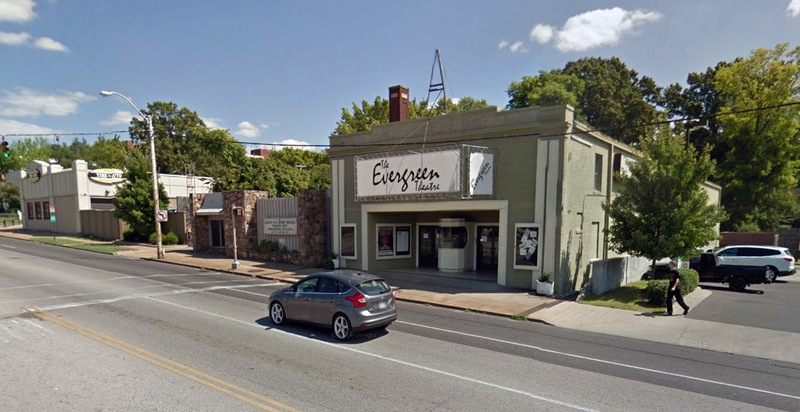 It is still there, now called the Evergreen theatre. 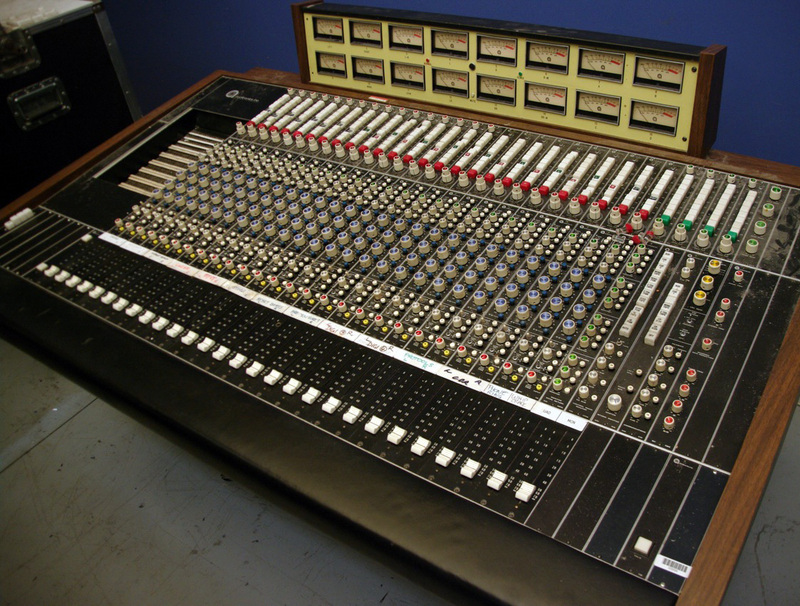 It was used for tracking sessions and new jingle packages that were piloted. 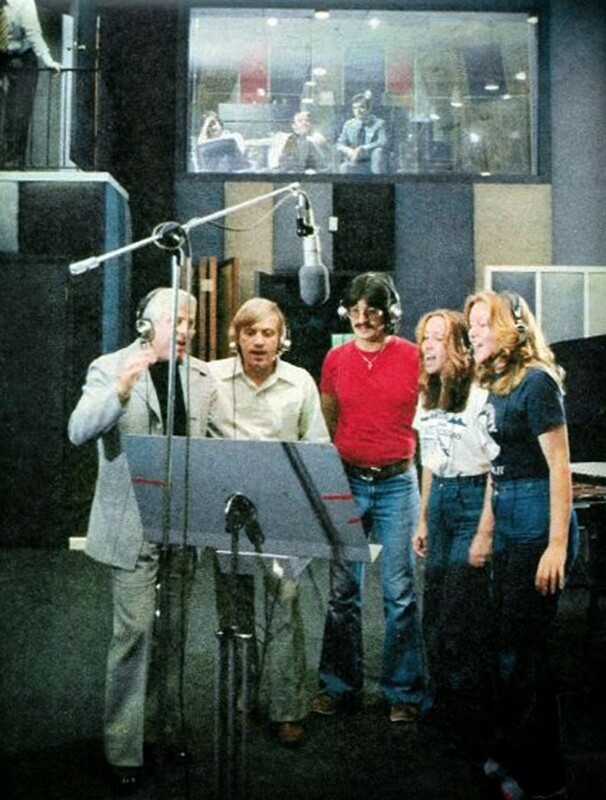 Here are the singers , watched by Bill Tanner in former projection booth with a customer. 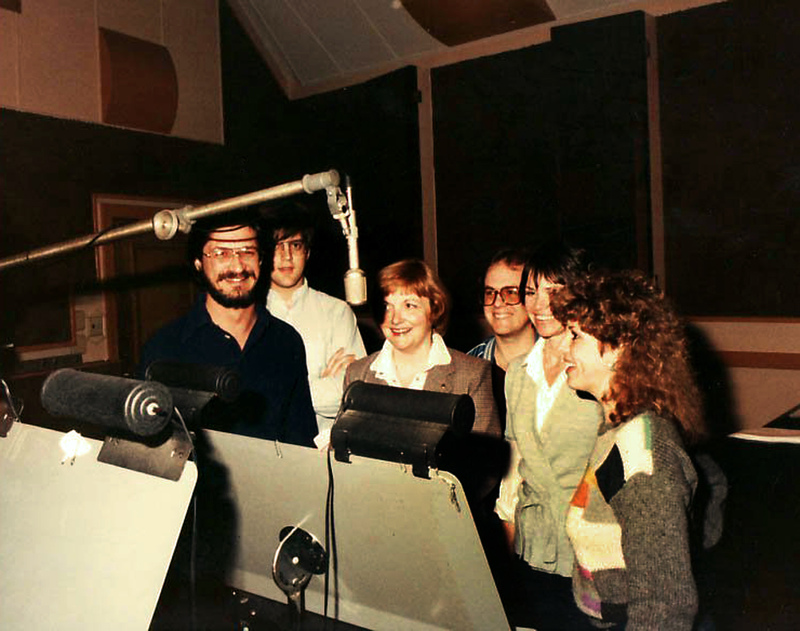 According to recording engineer Mark Goodman the setup of this choir (in 1977) was (left to right): Marv Shaw (ex PAMS), probably Ed Key, Bill Flores, Judy Rodman and an unknown singer. Remixes were done in a smaller studio, just next to the entrance of the theatre. 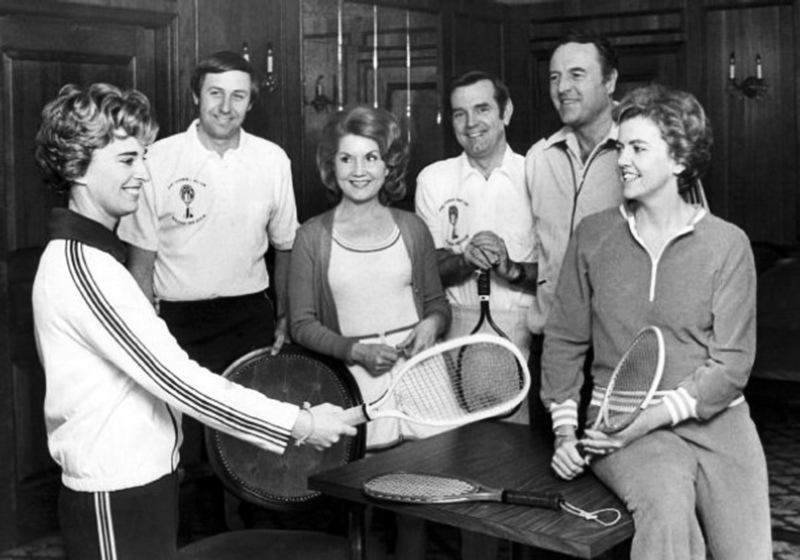 Bill Tanner and his wife Pat (both in the middle) in the high society of Memphis. 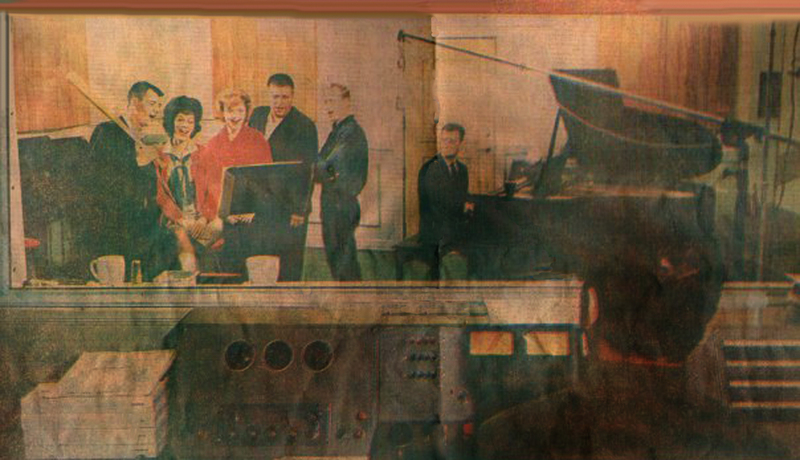 Musician and singer David Mayo in the same studio of the theatre at Poplar, as an artist he had recorded here witf Trans Maximus..
Here’s another line up in the same studio, showling (left to right): Bill Flores, Bruce Wermuth, Nancy Adams Huddleston (wife of the former founder) and David Deacon-Joyner. 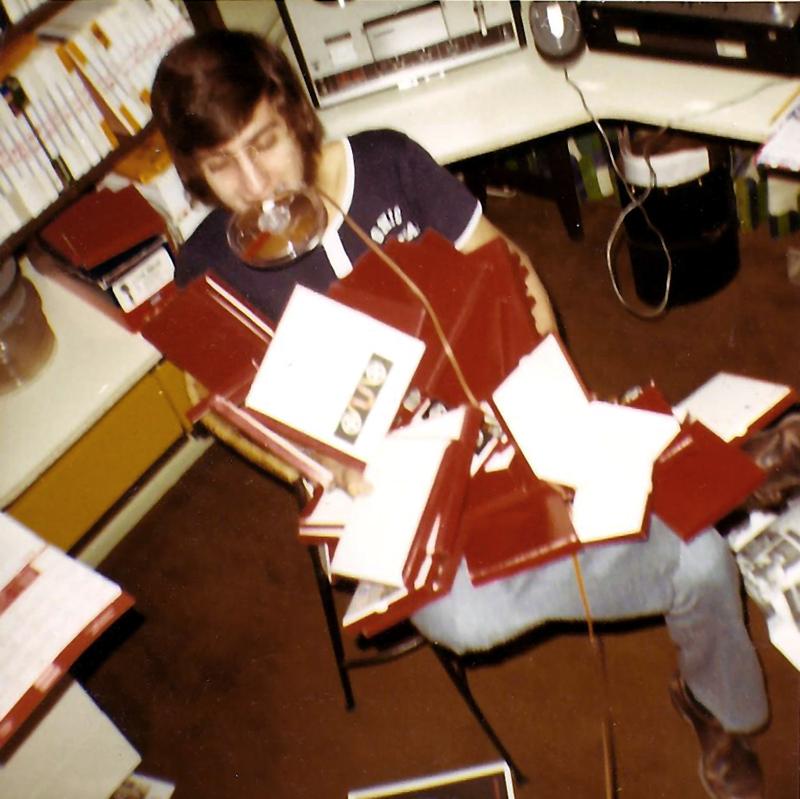 Bruce Wermuth blowing the Tanner kazoo. 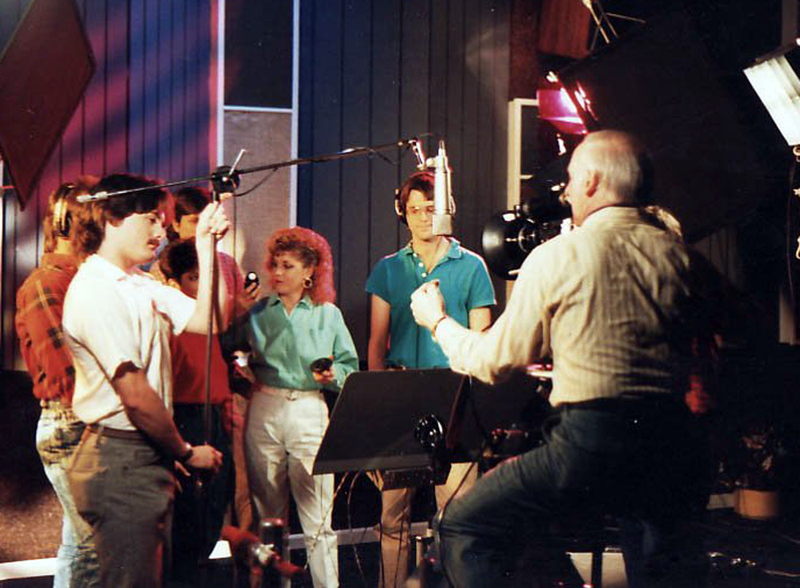 And the others, when a promo film was shot in the studio. This is one of the other recording studios on 51 Diana street en partly from Poplar. SEE them sing. Jimi Jamison was one of the lead singers. He sang Eye of a tiger in the group Surviver and got further fame singing the Baywatch theme. And his wife Debbie Jamison. And singer Lisa Chase, here seen in one of Tanner’s production studios. 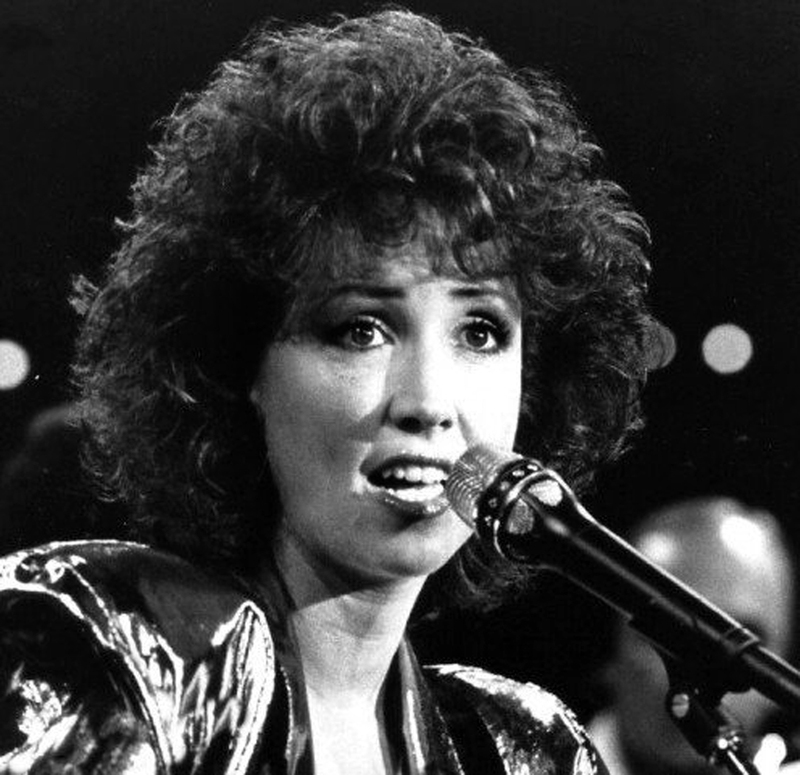 Janie Fricke, one of the other voices, and a C&W star in her own right. 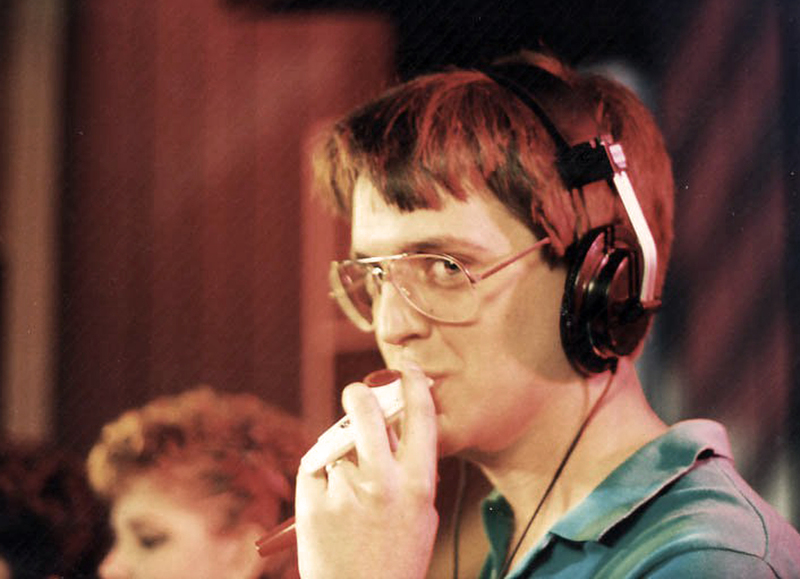 Pete Pedersen was one of the composers and arrangers who shaped the Tanner sound. 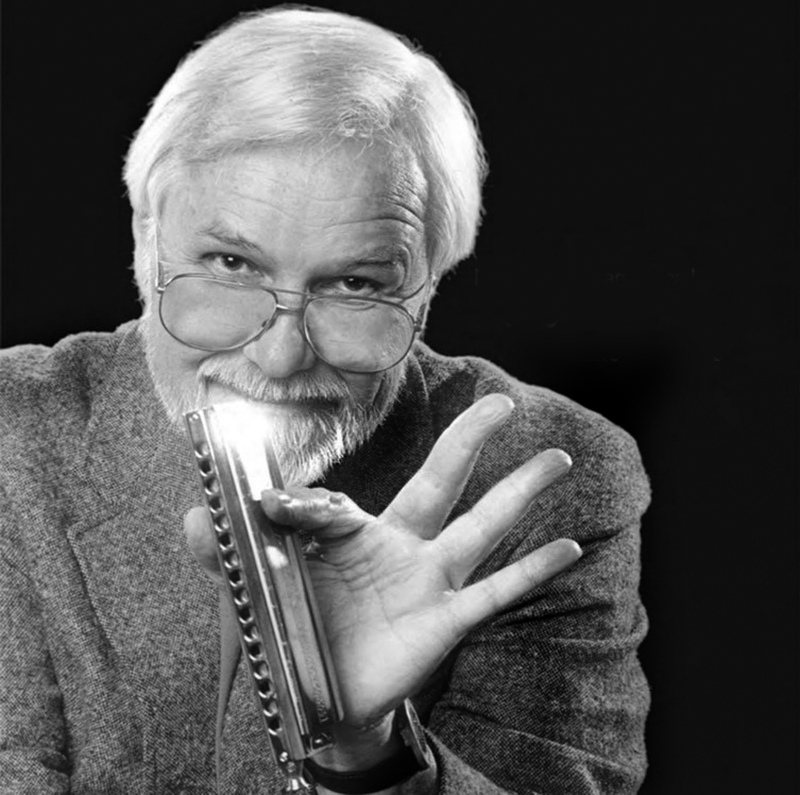 He was a harmonica legend in the USA, this is the cover photo of the biography Jaine Rodack wrote. Amongst others Pete did Beautiful music and Keep on truckin’. 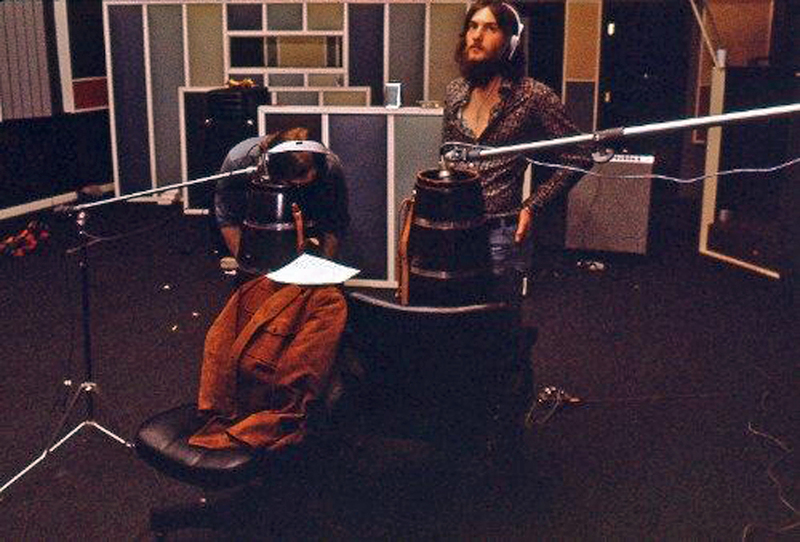 Pete recording at Tanner (a photo from his book Be of Good cheer). Vinny Trauth (left) and Ernie Bernhardt wrote many of the Pepper & Tanner jingles, like The Station that’s all heart. 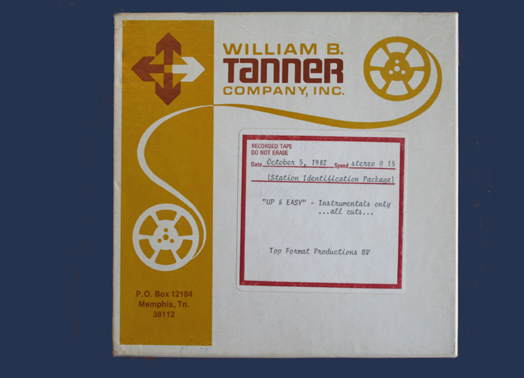 Some of the titles of Tanner packages. 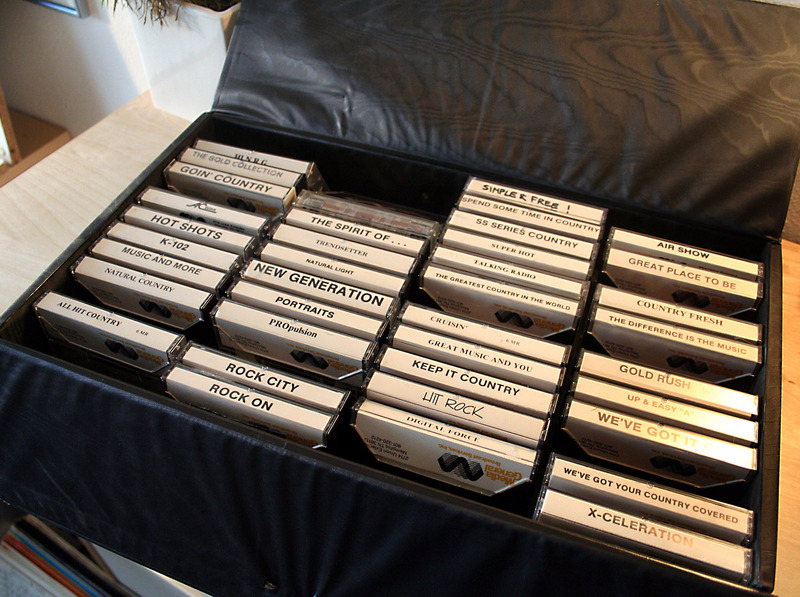 And this is the original case that the sales men took with them on the road. On the left Carl Reynolds, in the middle Keith Lee again (and Bart van Gogh and Ren Groot of Top Format again). 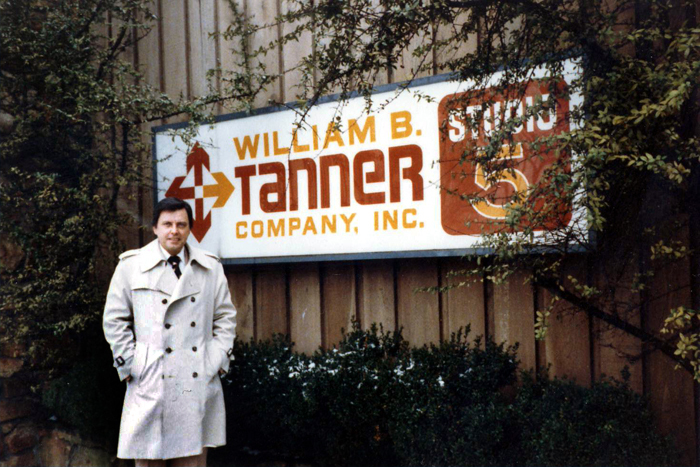 This is William B. Tanner himself, after selling his company in 1982 he started buying billboards and became the southern Billboard-King. This is how it was announced. 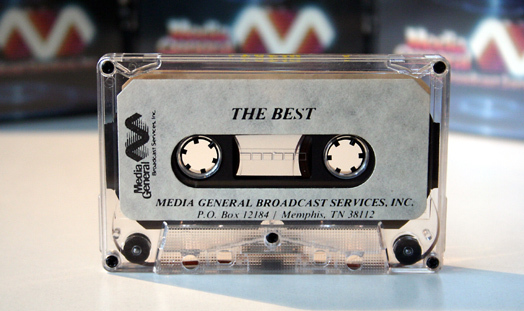 ‘The Best’ of Tanner on a Media General version demo cassette. 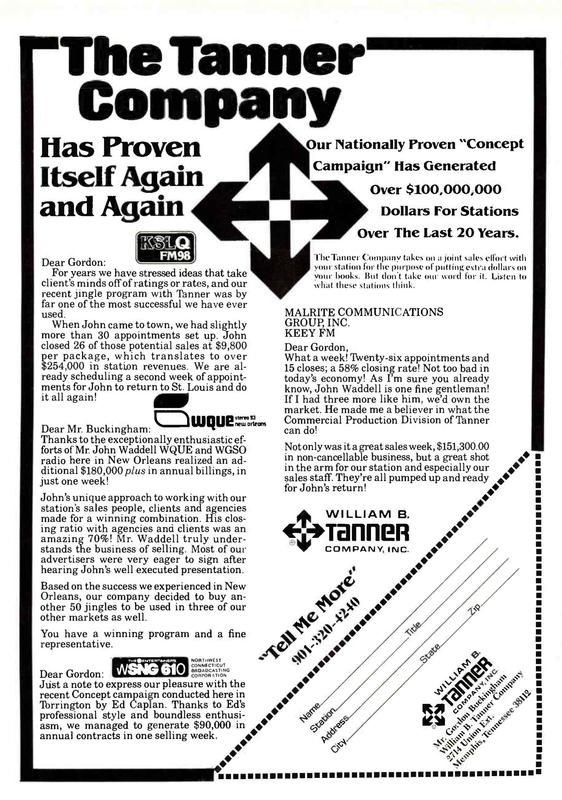 The company bought Tanner in july of the year. Here’s another example. Tanner himself is getting rough times after all his barter deals. 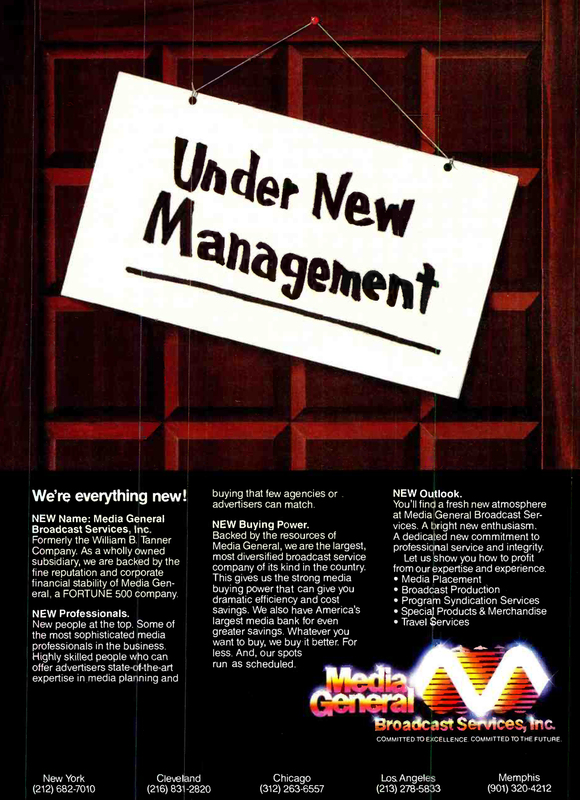 Media General sells the company to TM in1988. The brand disappears soon after that. According to Lisa Tanner they moved everything else to New York in november 1988. 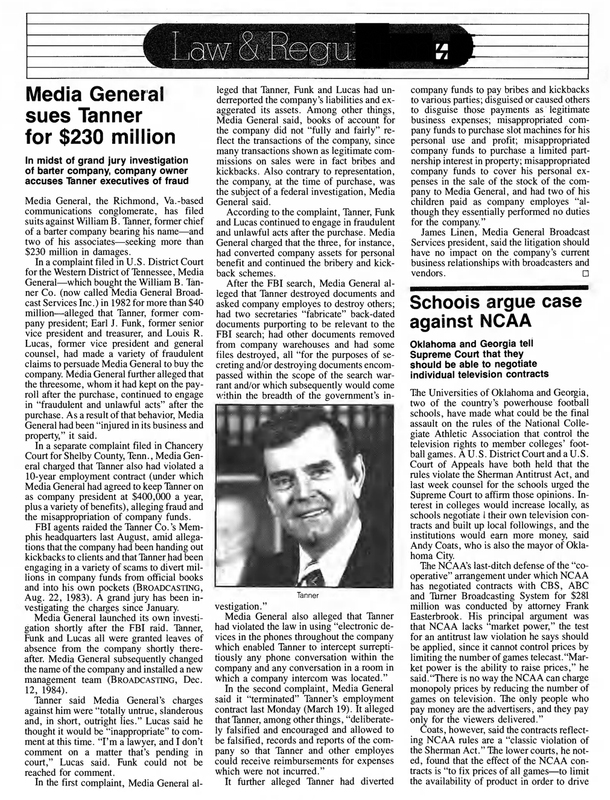 Tanner was sued by Media General and was locked up for two years after a tax fraude in the nineties and died on December 1st 2005, just before he would habe send to jail for five years after bribing a judge. 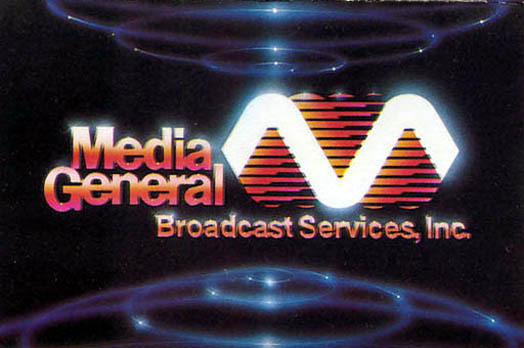 Media General is still alive, but there are no jingle anymore. Pepper outlived him by a year and is also buried in Memphis. Pepper & Tanner and W.B. 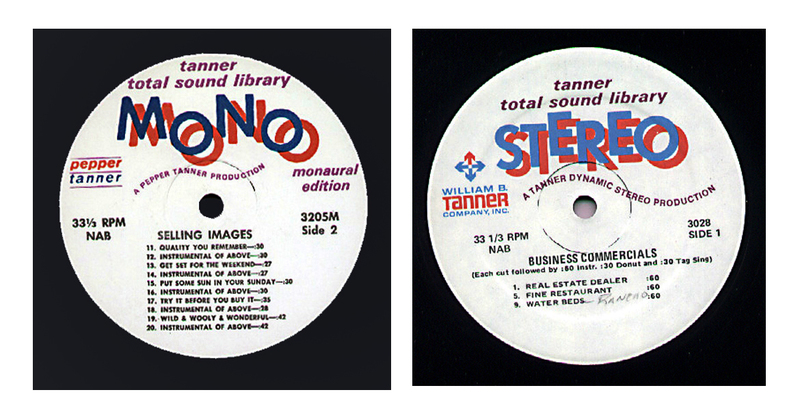 Tanner always had a lot of production music libraries. Sometimes renaming a few. when nobody looked. 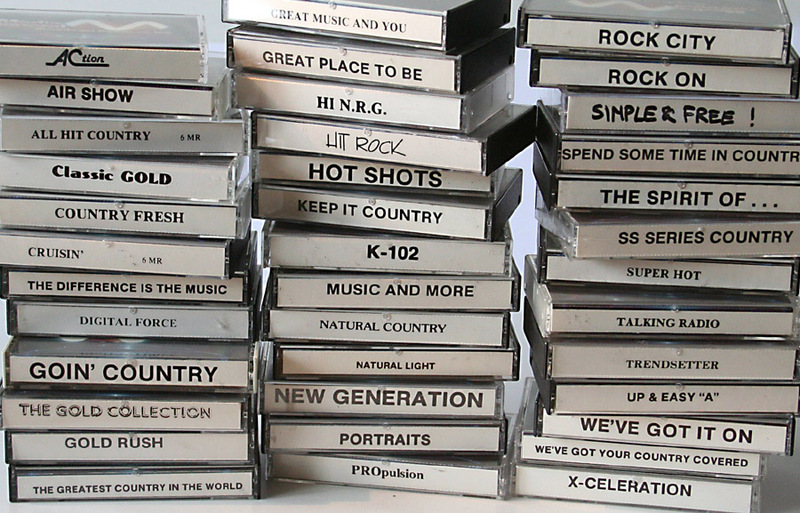 These are some of their biggest hits. Trendsetter was a big one in Europe too. 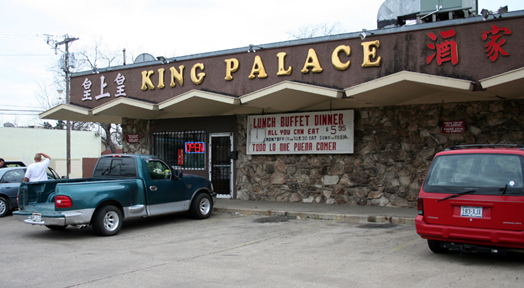 The company was sold in 1989 to TM in Dallas and there is not a lot left to see in Memphis. Well, the main building is still there. HQ now for a insurance company. 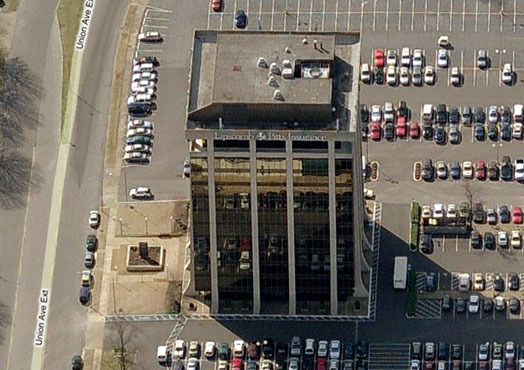 And 2076 Union Avenue is still there, the ‘Ivory tower’, as the staff called it when it was built. And the small houses in Florence street and Diana have all gone, they urbanize the neighbourhood, And for the rest, as they say, it is all history. 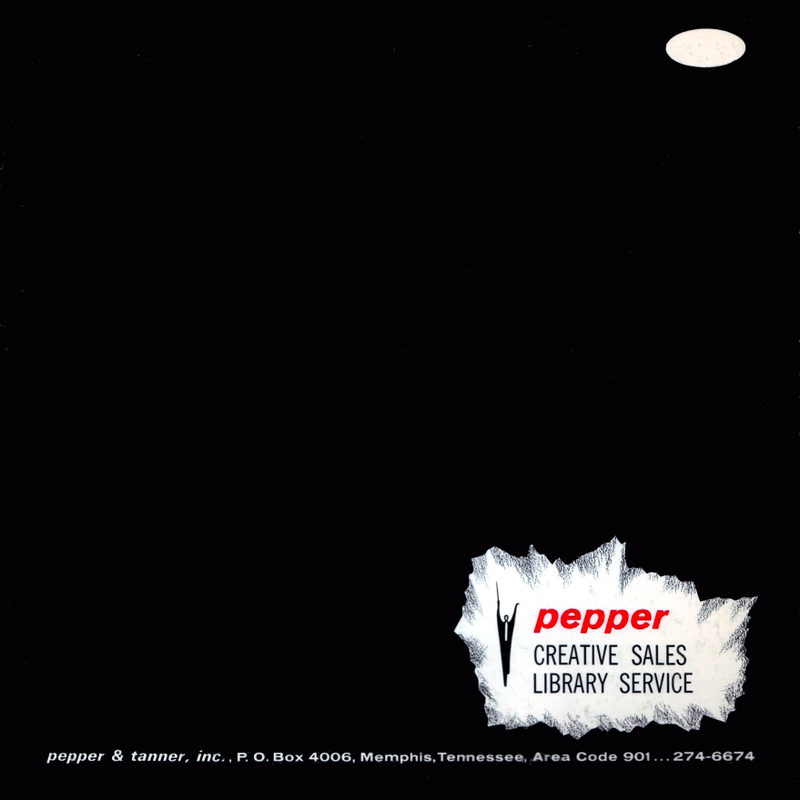 Finally, here’s a brochure of Pepper, probably from 1964. Dit is William B. Tanner zelf. Hij stapte na verkoop van zijn bedrijf aan Media General van jingles en commercial-libraries over op Billboards, die grote borden langs de weg, waar hij langzaam maar zeker al een belang in had gekocht. Hij verdween in de jaren negentig twee jaar in de cel wegens belastingfraude, en stierf op 1 december 2005 aan kanker, met een geknakte reputatie.